The Barry University Mission Statement declares that we are a Catholic institution of higher education founded in 1940 by the Adrian Dominican Sisters. Grounded in the liberal arts tradition, Barry University is a scholarly community committed to the highest academic standards in undergraduate, graduate, and professional education. Barry University is comprised of two colleges and six schools with degree offerings at the bachelor’s, master’s and doctoral level. As an institution of higher education, we are committed to the academic success of all of our students. At a practical level, we expect that our students reach levels of achievement that are equal to or better than our college and university peers. At the most basic level, student achievement can be reflected by student retention and graduation rates. In addition, student performance on discipline specific national competency examinations and graduate education placement serve as an indication of student achievement. While under less direct control of the University, employment and salary rates are also indices of alumni achievement. The information on this site provides a representation of the accomplishment of our students in meeting these broad goals. 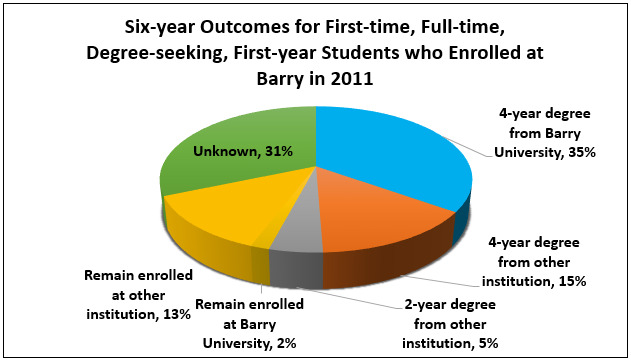 The employment rate within Florida for Barry University graduates with an undergraduate degree is higher than the average rate for graduates from other independent colleges and universities in Florida and comparable to the average employment rate from Florida public universities. 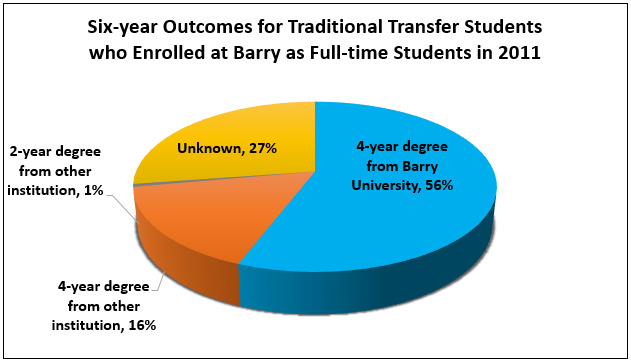 The average salary for Barry University graduates with undergraduate degrees is higher than the average salary for graduates from independent and public universities. The Florida Education and Training Placement Information Program (FETPIP) is a data collection and consumer reporting system established by Florida statute. 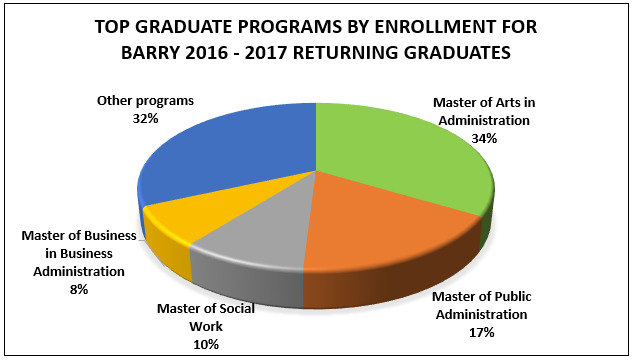 The purpose of FETPIP is to track students who have graduated, exited, or completed an educational or training program within the State of Florida. 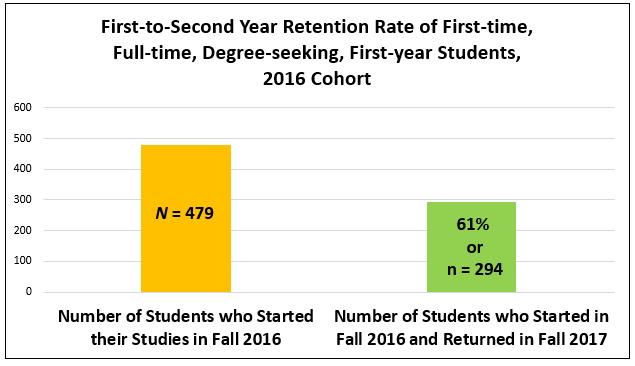 Among other services, the FETPIP tracking system reports on within-state employment of students following graduation from a college or university in the state. For more information about FETPIP Please refer to Florida Department of Education’s Page. Sources: The data is derived from the National Student Clearinghouse Student Tracker report (from July 1, 2017 to June 30, 2018 data) and information available from the institution’s Office of Institutional Research. There are many reasons to pursue a career as a podiatric physician. It is a medical/surgical career that is both challenging and rewarding. With the aging population and the global diabetes epidemic sweeping through the United States there will be an increased demand for high quality podiatric physicians in the future. In fact, the Bureau of Labor Statistics projects a 23% increase in positions for podiatric physicians by 2022. Barry University Podiatric Medicine program is accredited by the Council on Podiatric Medical Education. For more information about Podiatric Medicine Program, Please refer to Podiatric Medicine Page. Title II of the Higher Education Act (HEA) requires an annual report on the quality of teacher preparation. Institutions of higher education (IHE) that conduct teacher preparation programs enrolling students who receive federal assistance under the Title IV of the HEA fall under this mandate. A teacher preparation program is a state-approved course of study, the completion of which signifies that an enrollee has met all the state's educational and/or training requirements for initial certification or licensure to teach in the state's elementary or secondary schools. For More Information on Teacher Education Institutional Pass Rates please refer to the Teacher Education Institutional Pass rates Page. Barry University Dwayne O. Andreas School of Law is approved by the Council of the Section of Legal Education and Admissions to the Bar of the American Bar Association. Graduates of the Barry University School of Law are passing the American Bar Association Bar Examination at a rate that is fairly comparable to the average rate for all law schools in the State of Florida. The Law School responded to the dip in passage rates in 2014 by increasing bar examination preparation for all current students. Please refer to the ABA Required Disclosures Page. In the College of Nursing and Health Sciences, the undergraduate and master’s programs in nursing are accredited by the Commission on Collegiate Nursing Education. The undergraduate nursing program is approved by the Florida Board of Nursing. The Occupational therapy Program is accredited by the Accreditation Council for Occupational Therapy Education. The Cardiovascular Perfusion Program is accredited by the Commission on Accreditation of Allied Health Education Programs (CAAHEP). The Anesthesiology Program is accredited by the Council on Accreditation of Nurse Anesthesia Educational Programs. The Bachelor of Science in Clinical Biology with a Histotechnology specialization, Post-Baccalaureate Certificate in Histotechnology and Master of Science in Clinical Biology with a Histotechnology specialization are approved by the Florida Department of Health, Board of Clinical Laboratory Personnel, and accredited by the National Accrediting Agency for Clinical Laboratory Sciences (NAACLS). The Master of Science in Medical Biotechnology has been recognized as a Professional Science Master's (PSM) Program by the Council of Graduate Schools. Retention Rate 2017: 94%; Graduation Rate: 98%; for more information, Please refer to CNHS’s Outcomes Page. Barry University Social Work programs are accredited by the Council on Social Work Education. All Council on Social Work Education programs measure and report student learning outcomes. Students are assessed on their mastery of the competencies that comprise the accreditation standards of the Council on Social Work Education. These competencies are dimensions of social work practice that all social workers are expected to master during their professional training. A measurement benchmark is set by the social work programs for each competency. An assessment score at or above that benchmark is considered by the program to represent mastery of that particular competency. Complete details on Assessment of Student Learning Outcomes are available here.